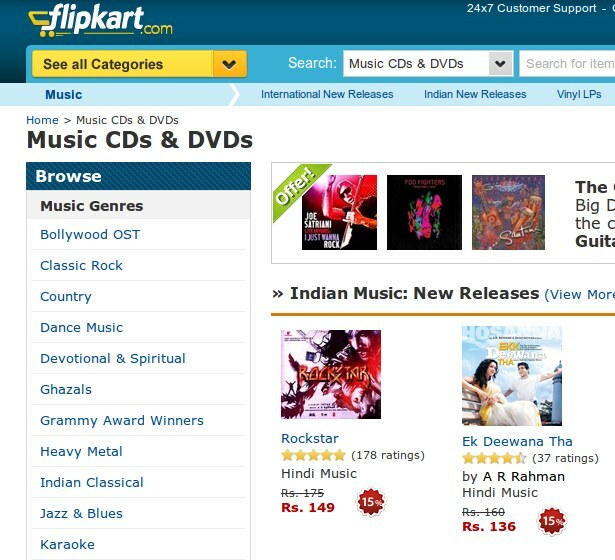 Flipkart To Launch Music Service Later This Month; Lost Market For Apple iTunes? Following the acquisition of Mumbai based start-up, Mime360 and also the Bollywod catalogue from Chakpak, Flipkart is now set to launch its music service this month. The immensely popular e-commerce website is now looking to expand its reach and diversify further, taking another step which gets it closer to becoming the Amazon.com of India. The service will be called Flyte and will allow users to download legal copies of mp3 music files which will be DRM free and be supported on all devices. With Flyte, users can download music tracks, but only 5 times, including the first purchase download. Flipkart’s acquisition of Mime360 has proven to be a boon since the latter used to manage streaming for labels like Saregama, Indiatimes, Universal etc. and music service sites like Gaana.com, iMusti etc. With the recent announcement that Songs.pk is going to banned in India, the only way to create such a service and beat piracy is to have nominal charge for the downloads and keep single track downloads. But Flipkart has been careful about the pricing as well. According to reports, the company is planning to price each track at Rs. 10 – 15, which is considerably low if compared to Amazon or iTunes. Flipkart is also planning to launch ePub, foraying into ebooks, although Flipkart founder Sachin Bansal had made it clear a while back that they did not see the ePub market big enough to enter, but it definitely seems that times have changed.